The round before the rest day is almost always the most contested. The players want to enter the second half of the event with a bang, and it is psychologically much easier to digest and rest knowing that you won. Having to deal with a loss without getting back into the game to revenge that outcome the next day is a painful and frustrating experience. Both championships are catching fire. 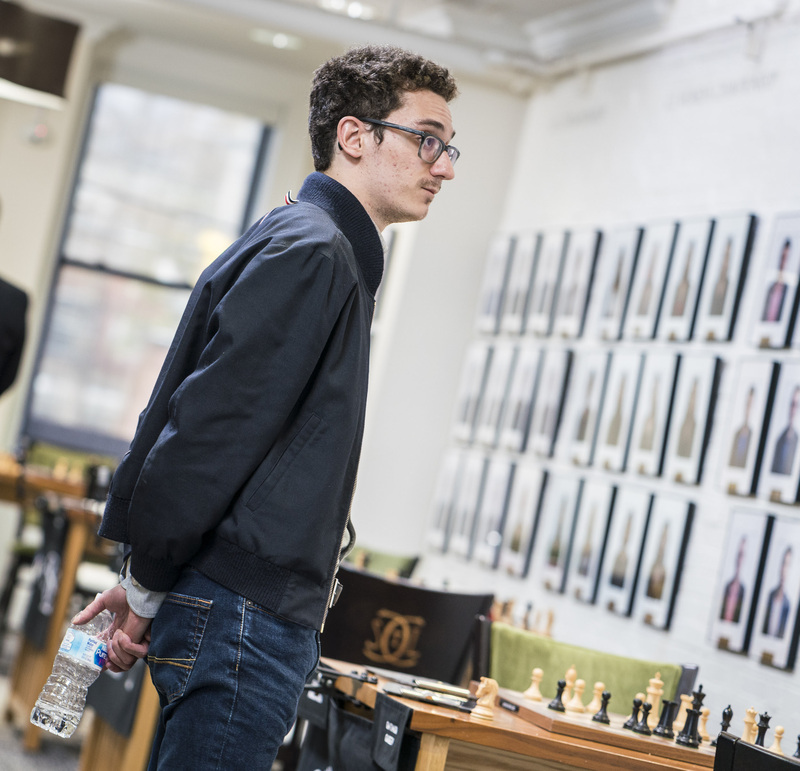 In the open section, Fabiano Caruana won his first game since October 2018, breaking a dry spell that lasted 27 games and almost caused the loss of the second position in the live rating list. 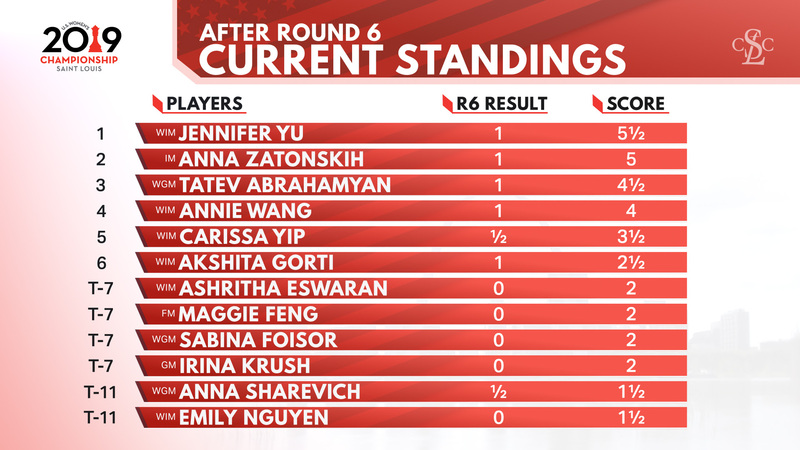 In the ladies section, Yu, Zatonskih, and Abrahamyan are clearly the players in form as they won their respective games and maintain the race to the top. Let’s check the most critical games of the round! Carrying a heavy chip on his shoulders, Fabiano was surely looking to win his first classical game after almost half a year. The number one position on the rating list seems far away now, but his second spot was also threatened. Another draw and Ding would have surpassed him, something had to be done. (Analysis available online). 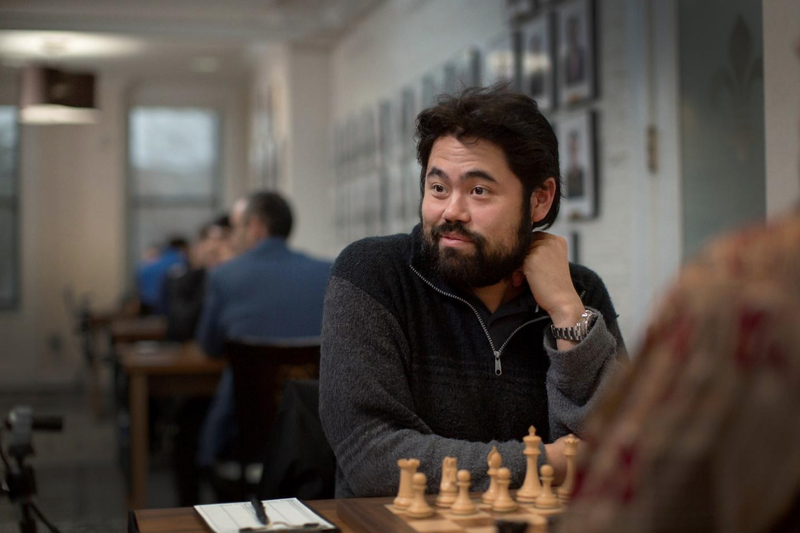 Playing the white side against the lowest rated player in the field is always an opportunity to score, especially if your name is Nakamura and you most likely will become the sole leader with a victory. And Hikaru rose to the task! The game started with an odd move order that led to the Fianchetto Grunfeld. Unfortunately for Timur, he didn’t seem to be familiar or willing to go into the main lines and decided to try and guess his way through an unfamiliar position. 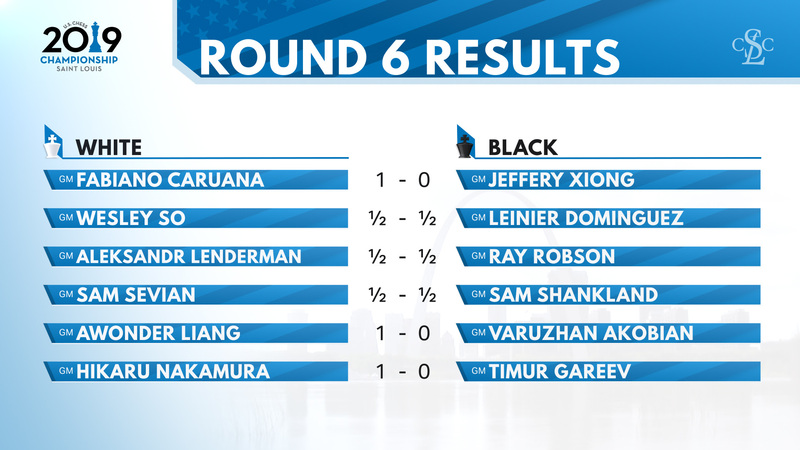 Black’s bad piece placement and lack of direction was swiftly punished by Hikaru, who took the point home effortlessly. 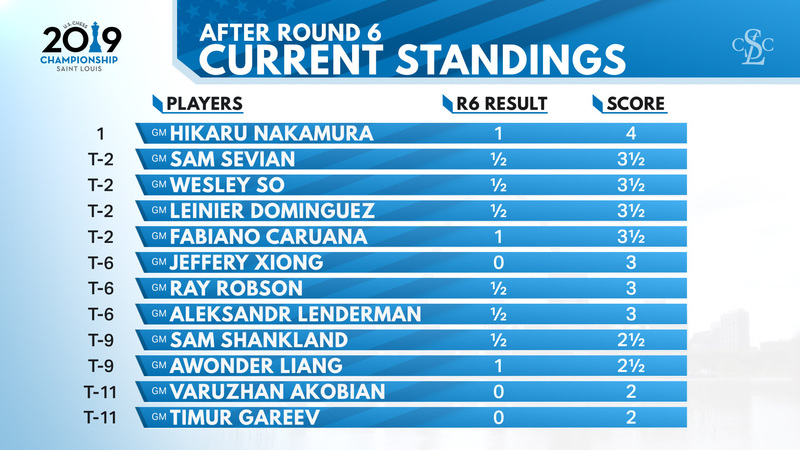 He is now the sole leader going into the second half of the event. In yet another battle between youth and experience, Zatonskih rose to the challenge and swiftly punished her opponent’s careless opening play. GM Boros once again provides his analysis on this important match, available online. 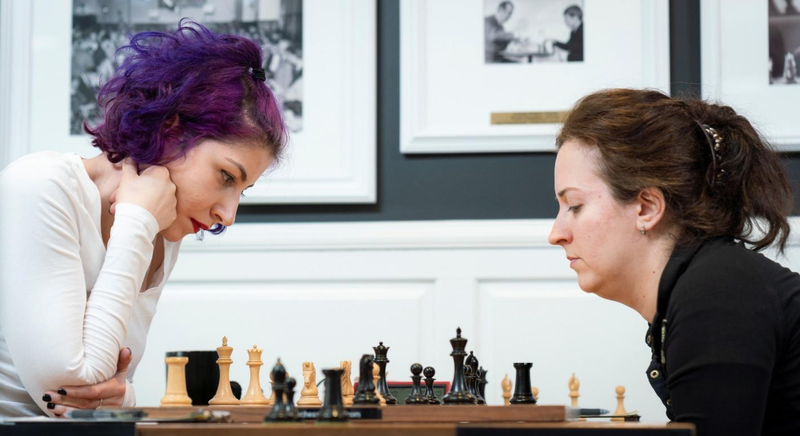 A highly anticipated and coveted matchup was the one between Abrahamyan, coming off three consecutive wins, and the highest rated player in the event, Irina Krush. Abrahamyan opened with 1.e4 and Krush quickly responded with the Dragon! The perfect start to what was going to be a highly entertaining scramble. Krush was clearly the better prepared player, as she blitzed out her first moves and placed Tatev under tremendous pressure. With great preparation, Krush built a big advantage on the clock and looked primed to score an important victory with the Black pieces. Unfortunately for her, she did not find the powerful 16…e5! which would have stopped White’s attack and allowed Black to create her own initiative on the queenside. Instead of that, Krush decided to allow Abrahamyan to open the “g” file, which helped the latter build a powerful attack. 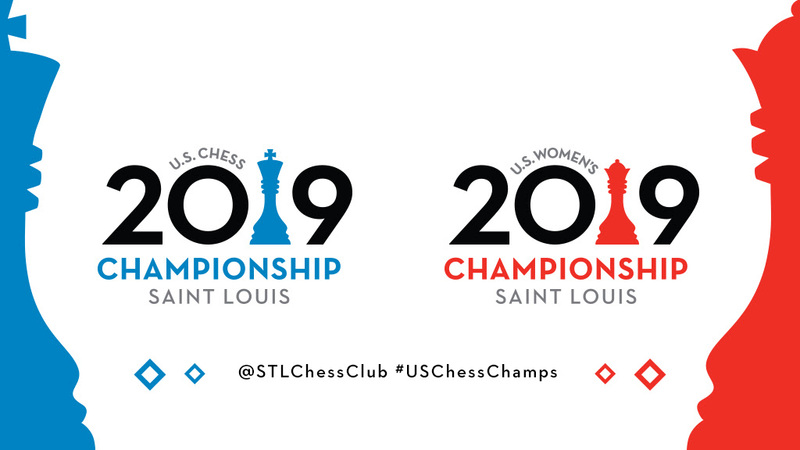 Abrahamyan showcased her brand of attacking chess and closed the show with precision. A crazy game this was. Feng surprised Yu in the opening and managed to build a sizable advantage. Unfortunately for her, Yu’s resilience once again was on full display as she managed to swindle her opponent and take the full point home. 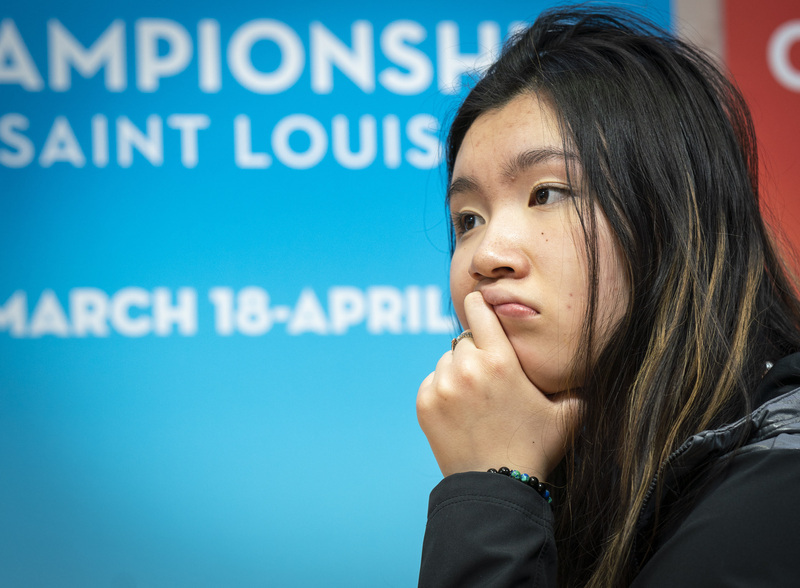 The advantage changed hands often, but in the end, it was Yu who prevailed and maintained her leadership position going into the second half of the championship. The pace she has set has been unbelievable, and her 5.5/6p is a monstrous score. Whether somebody is going to be able to catch her…only time will tell!